This suggestive model has much to commend it. However, I see the fall not as its own act, but as the conflict in the first act, creation. I prefer to see each of the five acts of the theodrama as set in motion by a divine act. Hence: creation, election of Israel, Christ, Pentecost and the church, consummation. On my dramatic reckoning, the church does not have to work out the ending so much as to live in its light. The essential thing is to play the right act. The church is no longer in Act 2, under the law, nor in Act 3, in which case it would have to do the work of Christ. Nor is it already in Act 5, as some in the first-century church at Thessalonica with an over-realized eschatology mistakenly thought. No, the church is in Act 4, an in-between the first and second comings of Christ time, marked by the firstfruits of the end time but not yet at the end. -Four Views on Moving Beyond the Bible to Theology, (Kindle Locations 2961-2973). On one level I find this all rather compelling. The more traditional Creation, Fall, and Redemption (or Creation, Fall, Redemption, and Consummation) is still rather serviceable. Wright’s suggestion is helpful, though, in that it distinguishes Israel’s phase thereby ensuring we don’t simply skip over it straight to Jesus–as if we could. It also helps us remember that while Israel is part of the Jesus plan, it is still a distinct phase, not to be confused with Christ’s work or that of the church. Vanhoozer’s rolling the Fall back into the first act of Creation is also admirable for it’s theocentricity–God-centeredness. When it comes to thinking through the different acts as periods of human action, the Fall needs to be accounted for in our moral and theological reflection, but isn’t really stage on its own, it’s a presupposition for the rest. The narration of salvation-history is governed by God’s gracious action, not human sin. I don’t have much to comment beyond that except to ask: what do you all think? Theologians, Bible-types, any thoughts? This might be a hit below the belt somewhere, but wouldn’t a good and consistent Calvinist acknowledge that the Fall is, in some sense, a divine Act, thus distinguishing it from Creation while keeping it god-centered? On a more serious note, while I appreciate Vanhoozers attempt to keep everything God-focused (that is, I fully appreciate his aim and agenda), it’s very difficult for me to conflate Genesis 3 with Genesis 1-2. I see Genesis 1-2 as standing as an Act of creation while Genesis 3-11 would fit well as an Act all it’s own with the Biblical narrative showing the depth of our situation leading to (dare I say) the third Act: God’s move to answer the problem through Abraham and Israel. I thinking the Biblical narrative (not least the Psalms, Romans and Acts itself) consistently draw those lines. No metaphor is perfect, and Vanhoozer is one of my favourite theologians, so I’ll have to give his proposal some more thought. Thanks for stopping in to comment. This is the kind of engagement I was looking for. Nothing substantial to add, but I’d like to commend you for your clippings, in addition to the usual posts. It makes for a nice digest of some huge ideas. Thanks for this post. So helpful. I’ve always liked NT Wright’s idea of “improvisation” because of the potential that concept has for helping Christians think of practice, and how they can live as “storied” persons and communities within God’s work. How do you think “improvisation” (Wright) vs. ” the church does not have to work out the ending so much as to live in its light” (Vanhoozer) differ in practice? What do we lose or gain from each nuance/framework? If the drama of redemption is going to be cast into a Shakespearean five-act structure, Jesus (his Incarnation, life, Atonement and Resurrection) pretty much has to be the third act. Truly Vanhoozer’s ammendation is is a right and justified correction to N. T Wright’s model. The Church age is given far too much direction in the NT letters to warrent an improvisation. what all this reveals is the weaknesses of models. they are only to be carried so far. 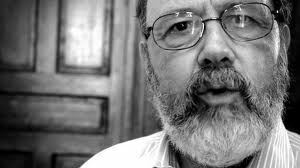 NT Wright seemed to have forgotten the NT escatological emphasis. Pretty sure he hasn’t forgotten the eschatological. My point from the quote was that for the church to improvise the conclusion is to have ab eschatology but not what the New Testament lays out! I appreciate both Wright’s suggestion and VanHoozer’s improvement on it; especially the caution that we don’t have to work out the way the play ends so much as live in the light of the ending. We need to make a distinction here. These models do help us understand how the Bible functions as Guide, which is part of its authority; they do not help quite as much in picturing how the Bible, or the Word of God functions as judge of ideas, doctrines, ideologies, etc. I suppose the caveat that the participants must act “in character” as they work out the rest of the story goes a little ways in that direction; then, I suppose, a totally different Jesus from the Jesus in the early acts of the story would be a false Jesus, but the function of the Word of God as judge is not sufficiently clear in this model. I like VanHoozer’s thoughts from a narrative/story-telling perspective. End every chapter on a bad note so that you feel like you need to keep reading the story to get to the truly good ending.